What’s the best cigar under $20? With a rating of 96…La Flor Dominicana Andalusian Bull – this was the #1 cigar in 2016 based on taste and construction. Here’s how the evaluation took place. A number of cigars rated at 91 or higher were purchased and stripped of their rings and passed out to cigar aficionados. No body knew what cigar they were given. The cigars were evaluated based on construction quality and taste/aroma/strength. The Andalusian Bull is no ordinary cigar nor its creator, Litto Gomez. Litto was not a cigar blender nor roller but a jewelry businessman. Nor does he have any connections with the cigar industry or Cuba. He is a Spaniard but raised in Uruguay. Litto spent considerable time perfecting a hybrid tobacco blend (Dominican Criollo ’98) and it certainly paid off. This is a fantastic cigar. The long filler and binder are Dominican while the wrapper is Corojo-seed Ecuador Habano. It’s a complex, bold and flavorful smoke with hints of hickory, leather and spice. You have to experience this one in order to do it any justice. And at only $14 per delightful stick, you just have to order one and try it. See if its #1 in your book. Master tobacco blender and roller, Hamlet Paredes will be unveiling a second cigar in the Rocky Patel Premium Cigar lineup: the Hamlet 25th Year. While exhibiting his superb cigar rolling skills at a cigar convention, Hamlet received many requests for mild cigars. Most of his current cigar lineup are medium to full bodied and very robust. So he decided to come up with a new mild cigar…the Hamlet 25th Year. Hamlet honed his blending and rolling skills when he worked at the Partaga’s factory in Cuba. 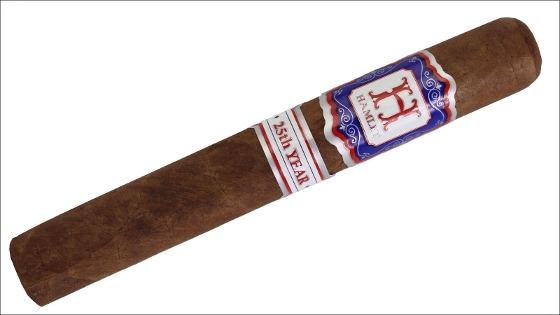 The Hamlet 25th Year cigar will be available in Robusto 5.5″ x 50, Toro 6.5″ x 52 and Sixty 6″ x 60. They will be priced at $8.75, $9.30 and $10 respectively. That’s a great buy for one of these beauties hand rolled by the master himself. The wrapper is a bold Ecuadorian Habano that smells fantastic. 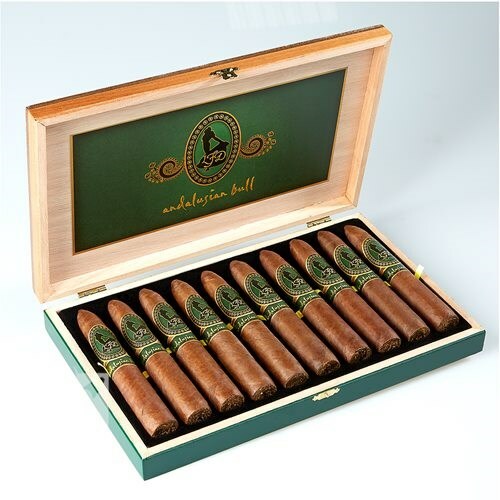 The binder is a Pennsylvania broadleaf while the long fillers are a blend of Nicaraguan and Honduran.